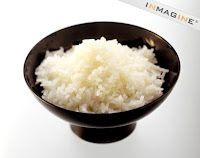 Rinse the rice in water to get rid of excess starch. For every cup of rice, add 1½ cup water. Bring the rice to boil, uncovered, at medium heat. When boiling, turn the heat down to medium low. Place the lid on the pot, keeping it tilted to allow steam to escape. When you can see holes or "craters" in the rice, put the lid on tight. For best results, use long grain rice. 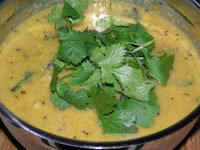 Wash daal and green leaves twice neatly. Add green leaves, tomato, green chillies, half of the onion, and one glass of water to daal. Put in pressure cooker for 3 vizzles. After the pressure has come down, add salt, smash the daal, add tamarind juice, season it and keep it on flame for 5 minutes. Take one tea spoon of oil in kadai and heat. Add asafetida, mustered seeds, jeera, dry red chillies, garlic, and onion. Fry till golden brown color. Add the smashed daal to the seasoning. You can use unripe tomato also for daal. Add tomato and one glass of water to daal. After the pressure has come down, add salt, smash the daal and season it. Add asafetida, mustered seeds, jeera, dry red chillies, garlic, onion. Fry till golden brown color. 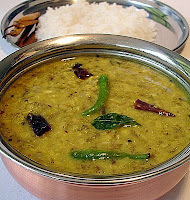 Have this daal with hot rice and ghee. It will be very tasty. If you add mango pickle also, it will be tastier. 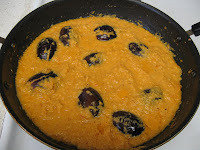 Add tomato, green chillies, half of the onion, and one glass of water to daal. If the daal is too thick you can add little water during step 4. This daal is good for health. You can prepare this in the similar way like Mudda pappu.